Once production has begun, and is in full-effect, a great CM will have a team of experienced, competent and trained individuals to carry out the assembly and integration. These trained professionals will be supported by their supervisors, tools and techniques, along with a manufacturing system that ensures the team's success. 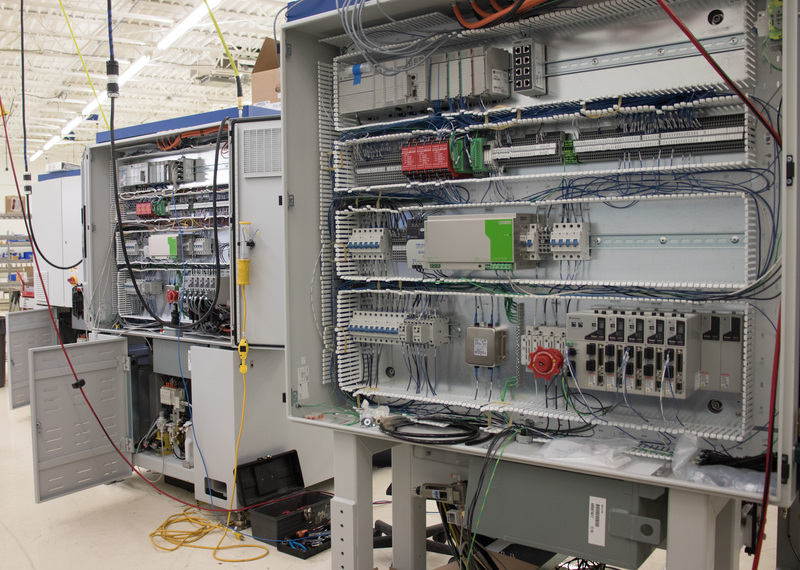 For most programs, the technicians will be trained specifically for the product, while the tools and workstations will be optimized for optimum build quality and efficiency. PEKO's team works tirelessly to use efficient and effective techniques for customers' assembly processes. Organization is a key component to the successful launch and build of low and mid-sized builds. 5S is one tool that keeps the workplace organized with visual machine and part identification, cleanliness, standard work instructions and a defined process by which employees feel engaged. Setting up a successful 5S program starts with a good plan. The flow of people and material through the assembly area should reduce time and motion wherever possible. This will eliminate waste and keep the process efficient and repeatable. Keeping track of labor hours, build rates and re-occurring issues will help the Operations team to identify and eliminate bottlenecks while increasing efficiency and quality at the same time. To ensure an area is effective, managers must measure actual hours worked versus budgeted hours. Along with understanding a customer's order requirements, tracking worked hours will ensure builds are shipped on time. One key to success with Time Tracking, is ensuring processes and training is in place to ensure correct times are logged to the appropriate jobs. This takes a little more time and care than most people realize. Safety should always been a main priority when working with an assembly for machinery. At PEKO, we always ensure the work environment is safe and free of hazards so that we can cultivate a positive work environment providing employees with the assurance that we care. We also have experienced assembly workers on staff to drive each project's success and to assist with our less-experienced workers. Always look for ways to continuously improve your processes. This could be improved assembly methods, the introduction of tooling or automation, eliminating waste (motion, rejects, rework, etc.) and manual or automated quality checks throughout each process. The manufacturing industry is lucky enough to have hundreds of companies producing new and novel efficiency products every year. Make sure your team is keeping up-to-date on new technologies that can help improve process efficiency. Prior to laying out the assembly area for production, our floor managers extensively review the proposed layout to ensure efficiency. Does the flow of people and materials make sense? Is there adequate electric, air and water where required? Is it the most streamline approach or could machines/materials be moved to eliminate steps required? PEKO floor managers will create a work-flow based on square footage, size and shape of the assembly to ensure that both workers and materials can make it in and out of the designated area. 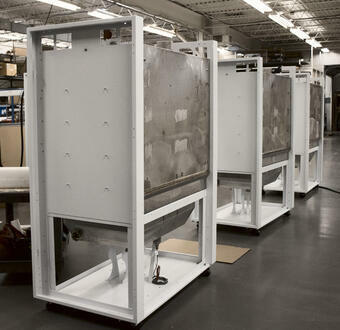 All of our assembly programs have their own dedicated and secured workstations with access to CAD models, drawings, and manufacturing packages. These stations are only accessible to the specific program workers dedicated to the project. If changes need to be made to the documentation, limited access is given to specific employees and is recorded correctly. This ensures accurate consistency and proper recording practices for future builds. When new customers arrive to PEKO, we always place them into our New Product Introduction department. This is PEKO's proprietary on-boarding service which ensures a project's success once it hits full-scale production. In this department prototypes and the first 10 or so builds are housed. After years of experience we found this program to be the most successful for our customers. This is because, it is in this department that cost-down opportunities, and design reassessments for ease of manufacturability are first approached. It is in this department when our rapport with our customer's are made and a seamless transition into our assembly department can be ensured. Employees may not always have the appropriate skillset needed for a given build. Not only can this cause problems during assembly, but an untrained employee can also feel overwhelmed and end up with a reduced confidence level. In order to overcome such barriers, increase your on-the-job training or offer outside courses to improve skills on reading and interpreting manufacturing packages and blue prints. Behind the scenes of a Contract Manufacturing company is a team of people managing the entire supply chain for each program. 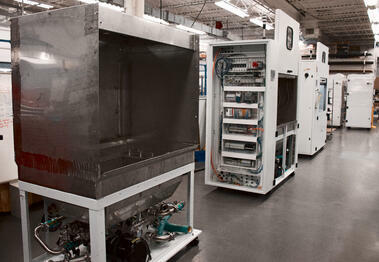 Products built at a CM have hundreds of parts in their BOM with some customer manufacturing. Typically, about half of those parts are off the shelf motors, drives, hardware and other commercial components. The supply chain works hard to manage all these parts, so the OEM is only responsible for the top-level part number when placing orders. This of course, is one of the benefits in working with a full-service contract manufacturing company: the ability to focus solely on the R&D of the business, while the CM manages the entire manufacturing, production and assembly of the OEM's machinery. If you're interested in outsourcing your assembly and would like more information, request a quote below!